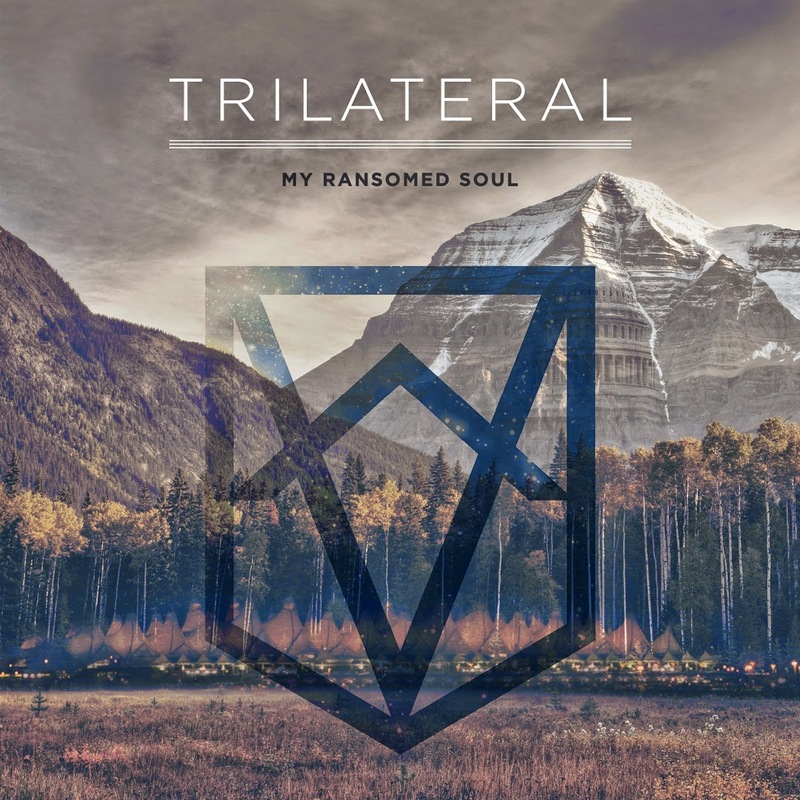 Review: My Ransomed Soul- Trilateral – Ouch That Hertz! All human minds require constant sensory stimulation and continual testing of reflexes. It’s part of how we learn- we compile data from all of these previous experiences and –from said data- make predictions and decisions within a matter of seconds. In turn, we develop routine, an understanding of order, and the ability to understand, question and improve our societal structures. But our minds function much like an economy- we require our own sort of mental stimulus package. As much as we are creatures of habit, we still need a variation of (or a deviation in) stimuli to keep ourselves active, alert, and sharp. Without any new stimulation, we grow bored, lethargic, and complacent with our dependencies on structured routines. We begin to operate like machines- working the same cycle repetitively until exhaustion overtakes us. We forget or lose our wit, our ability to feel, and our ability to think and make informed decisions as independent entities. Thankfully, My Ransomed Soul is emerging as the refreshing new stimulus our ears so desperately need. Their third release, Trilateral, is sure to elicit a new-found wave of response with every crashing breakdown, groovy riff, and passionate, politically-charged verse. Opening the album is “Rise”, a brief, menacing intro built upon pulsating layers of swiftly rising industrial effects that instantly bleed into the next brooding track, “Mockingbird.” Commanding riffs, raw mid screams, and pulsating percussion immediately hit your ears with the crashing force of falling trees. Guitarists Frey and Fernandez intelligently mash together a driving display of heavy chugging with spastic bursts of slightly-discordant arias and melodic overlays. Backing this frontal assault is drummer Fredy Menjivar’s relentless percussion, which showcases his footwork and excellent cymbal play that is masterfully intertwined with the intensity of the rest of the instrumentation. Vocalist Brendon Frey wields a powerful display of angry, raw mid screams and dynamic split-scream harmonies. Jarring breakdowns rudely burst through the heavy riffage, with every chug perfectly orchestrated to rile you up and set your blood boiling. It’s more than a moment of stellar instrumentation- it’s a much needed wake-up call. What’s more, My Ransomed Soul utilizes a sampled recording of a George H. W. Bush quote – and it actually fits the charged instrumentation and lyrical content perfectly. It’s near impossible to name a singular stand-out track on this album, as each one stands on its own as its own commentary. However, the explosive track “Monarch” is absolutely deserving of an honorable mention. An angry, accusatory lick immediately explodes into forceful, bitter grooving riffs matched by equally spiteful raw screams from Frey and an unrelenting tirade of percussion from Menjivar. My Ransomed Soul truly flexes their collective technical prowess and precision in every grinding, sliding breakdown, each seething with waves of vindictiveness and discontent that transcends through your ears to your mind and your soul. The overall bitter tonality from every jarring, anticipatory chug is both enraging and eye-opening as your ears are mercilessly slammed with an instrumental and musical intensity that is guaranteed to knock your teeth out of your skull. Another honorable mention is “Trilateral”, a short, yet reflective track. A melodic, simple, plucked melody rings out overtop a sampled interview between former Secretary of State Henry Kissinger and Charlie Rose over the topic of the fragile state of Syria. Undertones of powerful, introspective guitar and bass riffs simmer below the sampled recording, before lashing out into a gentle, melodic medley of layered guitars and mild percussive elements. Some may not find this interesting, but it is goddamn special. My Ransomed Soul has done something that most other bands are incapable of doing or have failed to achieve: producing a track that is equally as heavy as a breakdown, sans breakdowns and sans ferocious riffs. My Ransomed Soul has provided us proof that commentary, or more simply put words formed into sentences are as powerful as aggressive riffs. This track not only provides our ears with an emotive commentary which we are to analyze- it also perfectly blends with the rest of the theme/flow of the album. It’s a stimulus. It’ll make you listen. It’ll make you think. The album closes with “Revive”, a deeply emotive, reflective track bound by an impassioned, melodic tonality. Fast-paced, pitch-bent riffs and licks groove alongside desperate emotionally drenched melodic riffs and overlays and crashing percussion, crafting a conflicting, yet vibrant intensity. Frey unleashes a more serious, despairing, heartfelt force in his raw vocal delivery with each passionate verse. Groovy riffage is layered into tumultuous melodic, gentle overlays and undertones which mirror Frey’s vocal delivery and craft an overall emotionally-drenched, passionate, and invigorating tonality that will pull at your heartstrings.